FAST: We have thousands of square feet available immediately, from small, to large office/warehouse space. There is always space to choose from ready for move-in. EASY: Call 972-241-6774 or send us an e-mail at LBC3@wentwoodmanagement.com or submit your space request on our contact us page. Make an appointment to see space anytime. ECONOMICAL: We offer extremely competitive rates and we have short term and long term leases. Wentwood Management, LTD is dedicated to managing industrial space and real estate leasing in Dallas and Irving, Texas. Our properties are primarily near Stemmons Freeway (I-35) and Royal Lane in Dallas, and near 183 and Loop 12 in Irving. We specialize in cost effective small to large shop/storage and office/warehouse space. 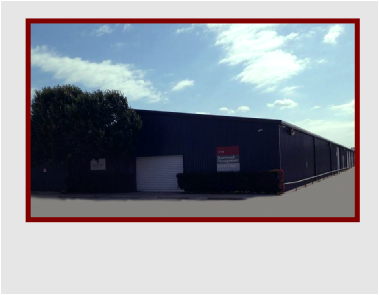 Specializing in industrial warehouse, office-warehouse and storage/shop space in the DFW area since 1969. Wentwood Management can provide your company an industrial or warehouse space you need for your manufacturing or storage needs. We have 40+ years of experience in commercial/industrial real estate and 690,000+ square feet of satisfied clients. Whether you are looking for a new location or renewing an existing lease, we ensure you that you are getting the most efficient space at the most favorable business terms in the marketplace. We have experience dealing with certificates of occupancy, and other code-related real estate issues and convey our knowledge to you to minimize any business related surprises in the future. Whether you are looking to lease short or long term you will find we have what you need! We would love to visit with you more in person. Don’t spend hours trying to find the right office or warehouse to fit your needs, let Wentwood help you today. Save time and money by calling us today!